The space is defined by a sliding door with lightweight wooden frame and glass panels. 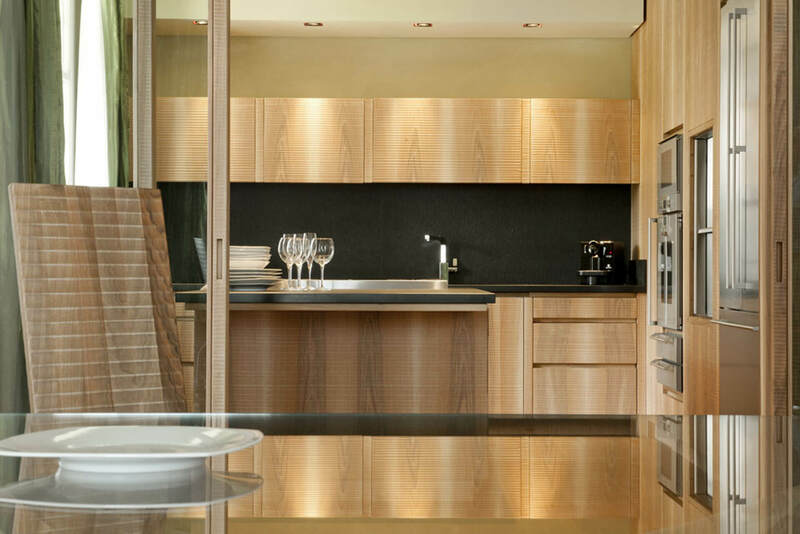 Kitchen in Italian walnut with hand-planed doors. 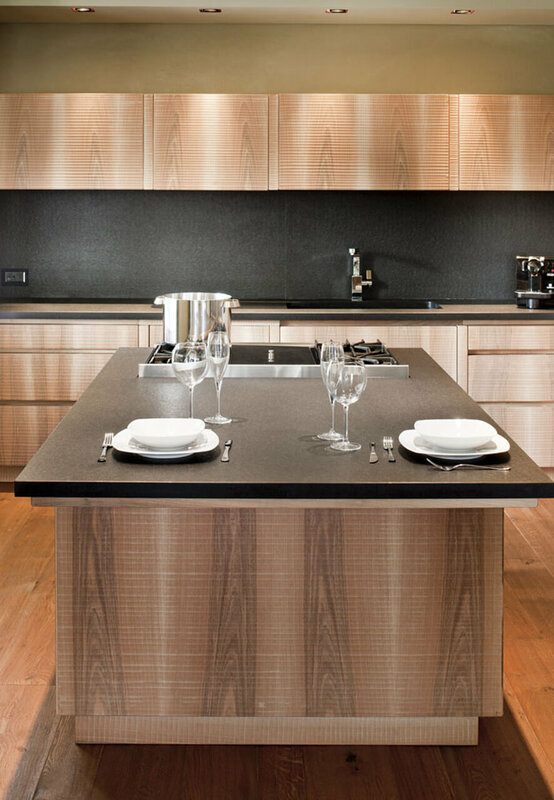 Work tops, sink and wall in sheer black granite. 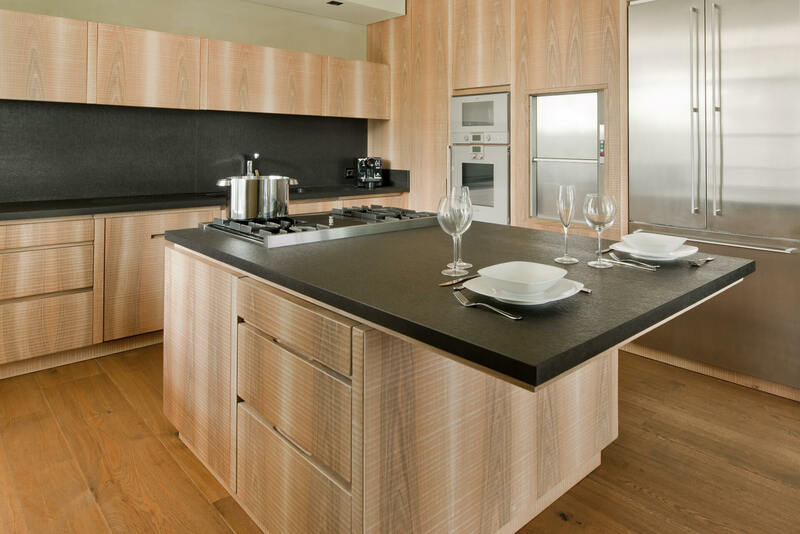 Central island with built-in units and drawers and granite surface. Wall with ovens, pantry, fridge and freezer drawer. Storage space organised between wall units, drawers and deep drawers. Gaggenau white goods.